If you are thinking about stained concrete in Slaughterville, Oklahoma you have come to the right place for tips and ideas. Here, at Bill’s Custom Concrete this is absolutely our passion and it shows in the quality of our work. Stained concrete is a really wonderful addition to a home or business that can make all the difference in the appearance of your entire property. Grey and dull slabs of concrete jump to life and the whole energy of your home or office can be raised through the ceiling! Here are some tips and ideas to keep in mind when considering stained concrete in Slaughterville, OK.
Give us a call at (405) 755-3975 and get a free estimate for your stained concrete in Slaughterville, Oklahoma. 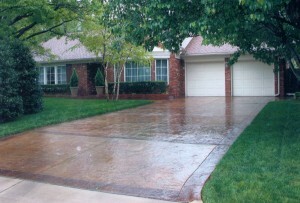 Bill’s Custom Concrete has been in business serving Slaughterville and the Oklahoma City Metro area since 1976. 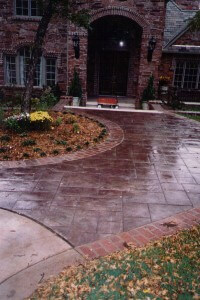 We have done thousands of concrete projects and we know how to do stained concrete the right way. 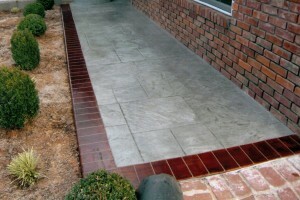 I really can’t wait to bring your stained concrete project to life! Thanks for reading.